Twelve acts will be competing for the Romanian ticket to Copenhagen. Since 1993 the Romanian broadcaster TVR has been holding the Selecţia Naţională, which is the national selection for the Eurovision Song Contest. The winner of the national final will be decided through a mixture of public and jury vote. On Saturday, Romania will decide upon it’s 16th representative for Europe’s favourite show. Twelve acts will participate in this year’s national final better known as Selecţia Naţională. The show will be broadcast live from the Sica Alexandrescu Theater in the Transylvanian city of Brasov. As expected, there are some familiar names among the singers but also among the authors. Paula & Ovi need no introduction to fans of Eurovision. Together with Luminiţa Anghel & Sistem, the duo achieved the best result ever for Romania in the Eurovision Song Contest. They came third in 2010 with the song Playing with Fire. In February 2011, Paula Seling was named the Best Female Voice by the Romanian public. Ovi tried to return to Eurovision as a writer in 2012 after writing the song High On Love in the Norwegian selection (Melodi Grand Prix) that was performed by Reidun Sæther. Bere Gratis is a Romanian band pop-rock, founded in 1998, in Bucharest. 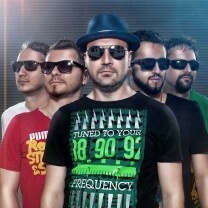 The group is composed of Mihai "Miță" Georgescu (lead singer), Robert Anghelescu, Marian Saracu, Marius "Neuro" Bob and Radu Vastag. In the period between 1998 and 2013, the band released 13 albums, among which the most famous songs were That’s Cool and A Crazy World. Their entry in the selection is their latest single. The dAdA was founded in 2010 and soon embarked on a successful career. The same year the group was formed it won the second place in the Stufstock Newcomers Contest. That year they also participated in the finals of the Global Battle of the Bands in Romania. Through their music, dAdA send messages full of irony and humor. The band is composed of Septimius Nettle (vocals and guitar), Theodore Nicholas (guitar and backing vocals), Mihai Ungureanu (bass and backing vocals) and SSI Marian Bobiceag (drums and percussion). The Zuralia Orchestra was founded in 2011 and is a group of 10 experienced musicians but in the selection only 6 will be on stage. They are recognized both locally and internationally. The group combines the sound of horns with tuba, drum, darbuka, accordion, vocals and a clarinet. 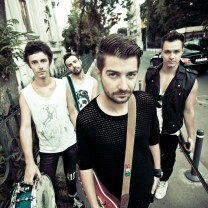 The band is a fusion of Romanian folk music and authentic gipsy, with influences of jazz, reggae, latin, and oriental. The orchestra participated in many traditional festivals, the latest of which were in Slovakia and Bulgaria. Vizi Imre started playing music at the age of 14. Five years earlier his uncle gave him a guitar as a birthday present. He started his musical career as a bassist and a backing vocalist in different bands. He graduated as a teacher and enrolled in a Drama School. His great achievement was when he came second in The Voice of Romania. Vizi has performed in many concerts and is also an accomplished actor. Singer and actress, Anca Florescu graduated from the Faculty of Law and then the University of Theatre and Film. She began her career in 2003 with the Laguna band. Soon after she launched her solo career. Anca’s first single entitled You broke my heart was composed by prolific writer Marius Moga. Her entry in the national final has a retro feel to it and was released in November. It was composed by Gabriel Băruţă, member of the Romanian entrants in 2011, Hotel FM. Silvia comes from a family-music background. At the age of five she started taking her first piano lessons. She later attended the Arts School, class of Professor Mihaela Runceanu, graduating in 1985. That year she won the Mamaia National Festival with the song I’m Sorry, which became a hit in Romania. In 1996 she won two awards at the prestigious Golden Stag Festival; the award for best video award and third prize in the discography section. Renée’s is another well known face on the Romanian music scene after hitting the airwaves with her song Fly. Santana is no newcomer to the selection either, having participated last year. Mike Diamondz met with Renée Santana in 2009 and besides their musical collaboration on the hit Fly they also recorded another song called Baby. Renée is a busy lady, for besides collaborating with Mike she is also part of the band Mooi. 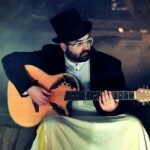 Ştefan Stan is a blues-soul singer who became known in 2011 after winning the contest show Vocea României, the Romanian version of The Voice. Following his victory, Stan received the amount of $ 100,000 and a management contract with Universal Music Romania. Teddy K is relatively news in the music scene. She is an 18 year old singer and penned the lyrics of the entry in the Romanian final. Born in 1977 at Sigişoara, Naomy has a great track record in winning festivals in Romania. She won the grand prize in the International Festival for young talent held in Greece in 2004. Naomy has studied music with Professor Ana Tanasescu at the National Children’s Palace in Bucharest. She describes herself as patient and a fighter at the same time and is the first transgender in the Romanian selection. Mirela Vaida Boureanu is a theatre singer with a great passion for music. She is a resident singer at the Constantin Theatre in Bucharest. Apart from her singing career, Mirela hosts the show Mireasă pentru fiul meu (A Bride for My Son). In the past she collaborated with Bogdan Taşcău who formed part of the group Todomondo that represented Romania in the 2007 Eurovision Song Contest. 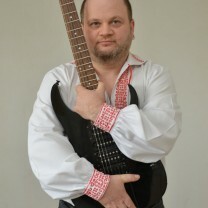 Bogdan happens to be one of the writers of Mirela’s entry in Selecţia Naţională. Marcel started playing around with music at the age of 10 when his parents bought him a guitar. The first band he played with was called Pro-scenium. He later went on tour through 15 cities in Romania with this band. Another band that he sang with was called KGB band. During the 90’s he won numerous awards and participated in a number of rock festivals. Following the split with the KGB band he moved on to a solo career.